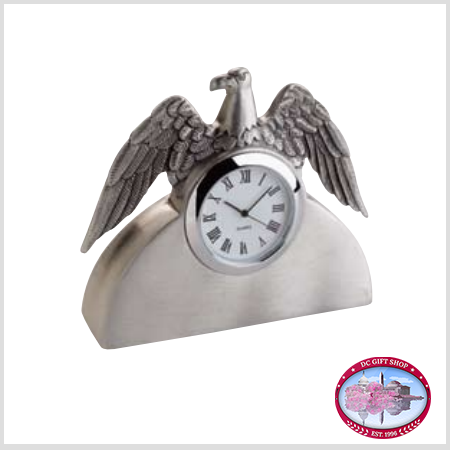 Long a symbol of power and patriotism, the American Bald Eagle majestically accentuates this pewter desk clock. The clock features Roman numerals and a quartz movement for accuracy. 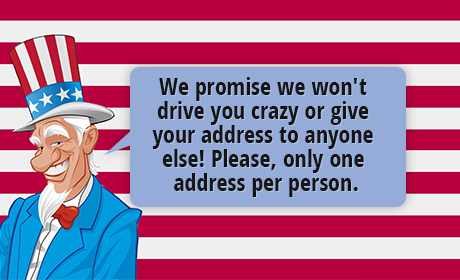 Can also be placed upon a mantel piece or an end-table.